In the past, advertisers believed that the more times your ad was seen, the better it is. But the opposite is true in this digital age — when users see an ad over and over again, they simply stop clicking. When the viewer frequency rate is too high, the ad starts to lose its effectiveness — ad fatigue, in other words. The good news: Singapore-based Creadits — previously known as ReFUEL4 — played a vital role in solving this problem. Kazuhiro Takiguchi, simply known as Kazu, had a disruptive idea for an AI-driven creative platform and thus founded Creadits in 2014; roping in his business partner, Vernon Vasu, to help revolutionise the advertising industry in Singapore. His refreshing idea: A platform that overcomes ad fatigue by closely monitoring how well ads are performing against the target audiences. When the performance dips, their army of designers will ‘refuel’ the ad with fresh creative to ensure that the campaigns never go stale. Vernon, a 20-year veteran in the advertising sector, was sold when Kazu pitched the killer business idea. It immediately resonated with him as this was a perennial problem in the industry. “To be able to address it comprehensively and globally was too powerful an opportunity to ignore,” he said. Leveraging on machine learning, the platform is able to predict the performance of an ad before it is displayed, thereby saving advertisers media cost and time-to-market. This helps brands to determine which ad creative will yield the best results for digital platforms like Facebook, Instagram and Snapchat. It also ensures that sufficient ad versions are promptly produced for advertisers so that media budgets aren’t wasted. “Our platform reduces the recommendation parameters to optimise the performance of your ad. After achieving a good AI score, you can safely put some money against the ad,” said Kazu, who is also the director of Japanese company Allied Architects, a major investor of Creadits. Upon analysis, designers can continue to tweak the creative to improve on the ad and garner better results. Its extensive network of global designers provide rapid results at scale, and they can turn around a brief in just 2 to 3 days. They work 24/7, 5 days a week, and develop 5,000 to 8,000 ads per month. Creadits is currently working on two new AI-powered technologies — an automated video summarizer and ad creative resizing tool — to help improve the efficiency of the production process. According to the duo, its automated video summarizer uses AI to create more concise versions of long videos. The tool recognises the important elements of the video, and smartly trims off redundant parts to summarise it into concise, yet impactful versions. Getting your editor to cut a shorter version could take hours, if not days — until now. This [tool] delivers an improvement in efficiency of at least 75% in just 30 minutes. Creadits looks at every aspect of the creative production and analyses how it can be improved, especially in terms of how creative talents are engaged and briefed. The firm combines their in-house briefing data from working on thousands of creatives with the specific marketing objectives and audiences of clients, to guide designers to produce more tailored and effective ads. For us, it’s important that we have the briefing data, which tells us what the advertisers really want. And these are data that both Facebook and Google do not have. “So naturally, we are investing our resources to enhance our AI-driven briefing, instead of [focusing on ad performance] prediction. We don’t know what brands like, and they don’t know their audience behaviour; so this is why we are implementing AI to help reduce this gap,” said Kazu. According to Kazu, it is part of their social mission to democratise design and enable designers, regardless of their background or location, to earn “fair remuneration”. “If you’re a designer in New York and a designer in the Philippines, and you’re producing the same quality work, there’s no reason why one should earn more than the other right?” questioned Vernon. Moreover, big agencies charge US$3,000 for one Facebook static advertisement. But if we track down the whole creative process (from big agency, to media lab, to production house), the actual creative person is only being paid US$20. Noting the talent gap between the advertiser and the designer, the duo made it a point to activate the global talent pool in a fair way. Traditionally, advertisers pay for man hours, not the outcome; so Creadits is changing things up by paying creatives based on their output instead. “This creates transparency, so you know exactly what you’re getting. Basically, we’re trying to create a platform where the process of getting creatives is more transparent and clear,” explained Vernon. The Creadits platform operates like an outsourcing platform, which lets you see a display of submissions from the designers. It’s then clear for advertisers to choose the creatives, and for them to see who designed it. To date, the clientele list for Creadits’ designers include big names such as Spotify, King.com (creators of Candy Crush), PayPal and eBay. 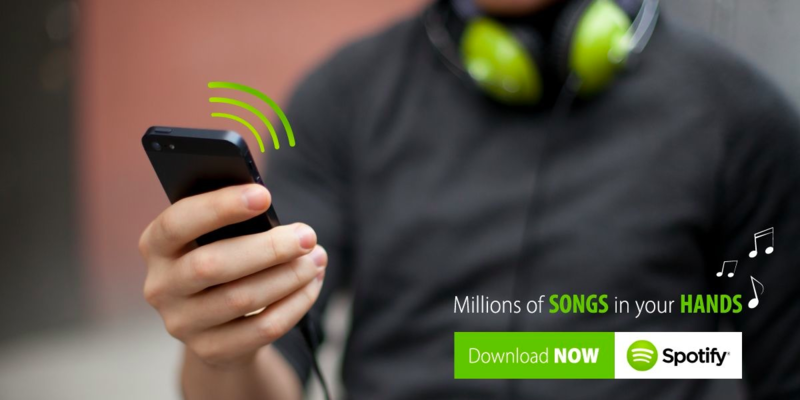 Spotify in particular, wanted to increase the number of app downloads in Taiwan, Malaysia, and the Philippines. Tackling these APAC markets, however, posed a marketing challenge as they needed to reach new listeners in a region with multiple languages and diverse cultural and musical tastes. Thanks to Creadits’ pool of localised talents, Spotify was able to craft relevant ad creatives that addressed these differences within a short turnaround time. In just 72 hours, the team created over 300 ad variations inspired by global trends and regional pop culture references, while adhering to Spotify’s brand guidelines. The final ad reached 4.6 million people, resulting in 3 times more app downloads as compared to previous campaigns. Creadits is an accredited startup under the IMDA’s Accreditation@SG Digital programme. It obtained this accreditation certification in March this year, and Vernon commented that it was a “tough and rigorous” process. “The accreditation process — from code review, process review, security audit, the financials — was tough. Even our financial controller said that the questions IMDA asked was tougher than what our auditors asked [because] they ask penetrating questions,” he said with a laugh. But the strict audit has actually helped the company to uncover and address some product engineering gaps. Furthermore, the accreditation has also given Creadits the opportunity to expand its network of business contacts. IMDA helped us to directly qualify potential partnerships and make the introduction. They’ve been actively referring us to potential clients that they have access to [and expand our network]. “The contacts they provide are significant customers and [gives us the window of opportunity] to clinch potential projects as well as collaborations to expand geographically,” said Vernon. He added that to be recognised by IMDA alone is a huge boost to the company as it has raised the company’s profile and credibility. 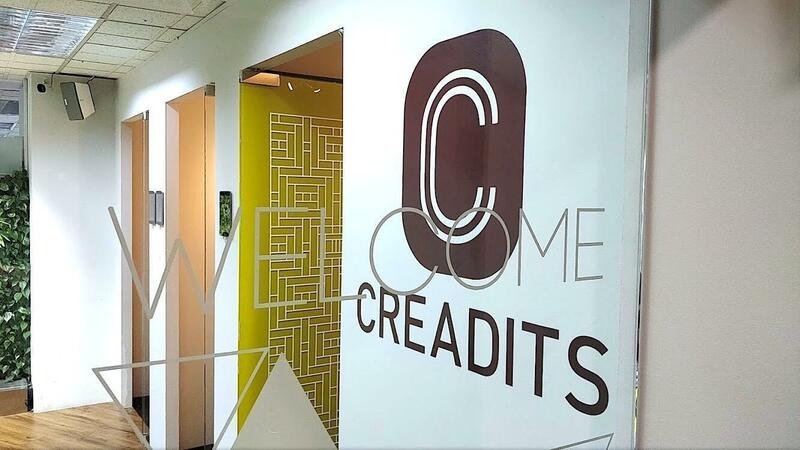 Headquartered in Singapore, Creadits currently has three global offices. 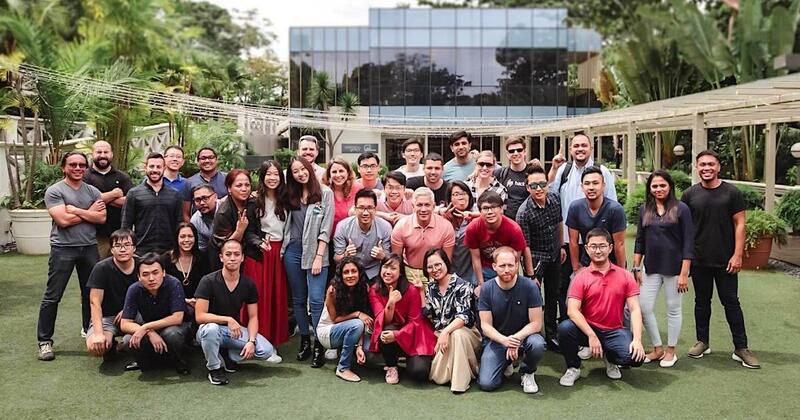 The Singapore office houses the data science and engineering team, while its Manila office is focused on fulfilment and client servicing. The firm has also moved its American office — which focuses on very large US-based advertisers — from San Francisco to Austin. In all, its current global headcount amounts to 80 staff. 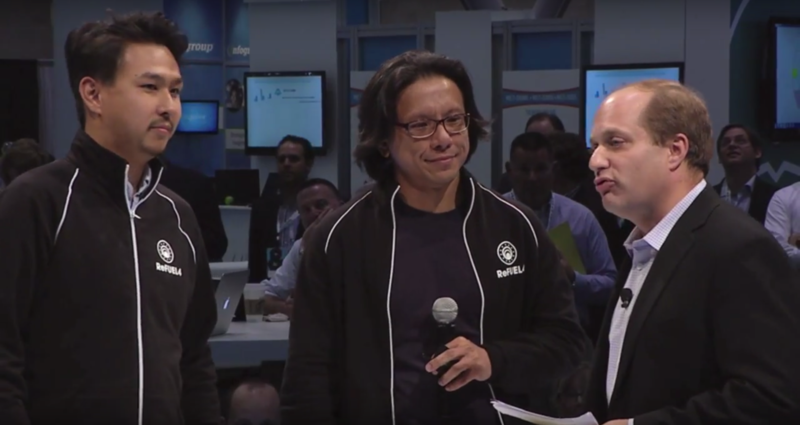 “The Manila and Austin combination is working really well for us. But we’re also building a China sales team, which will be housed here in Singapore.” said Vernon. Moving forward, the Creadits team is confident to take on the US$500 billion digital advertising market. This article was written in collaboration with Accreditation@SG Digital.